Nokia N8 is the least expensive Nokia flagship ever. At this point, I would like to stop; although the list could be continued, it should suffice. In each of the statements above, the key thing is that it is the best product from Nokia. Yet it doesn’t automatically imply that the product is the best on the market. It was exactly like that a while ago but those days are over unfortunately. And a few words about the camera… It being not the most technologically advanced doesn’t mean that the camera won’t make an excellent choice for regular customers. People do not compare cameras; they just pick a phone and use it. It is their experience and what a particular phone has to offer today that matter. 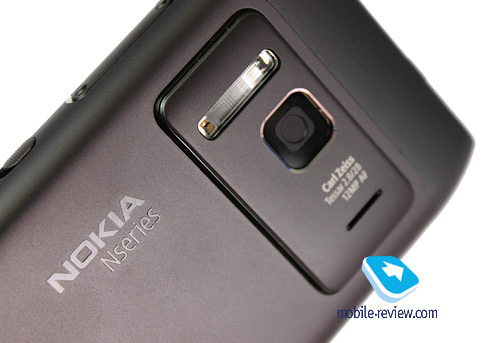 In this respect, the Nokia N8 is a move in the right direction. For 99 per cent of the device users, a camera of this kind in a mobile phone is something fantastic and they will be extremely positive about it. They will be praising it. Taking into account the fact that other Symbian^3 products have cameras without autofocus, choosing the Nokia smartphone becomes and even easier thing to do. Nokia has been experiencing serious problems in the top segment for the last year. The reason to that is a series of unsuccessful products, which didn’t manage to win the consumer hearts (e.g. 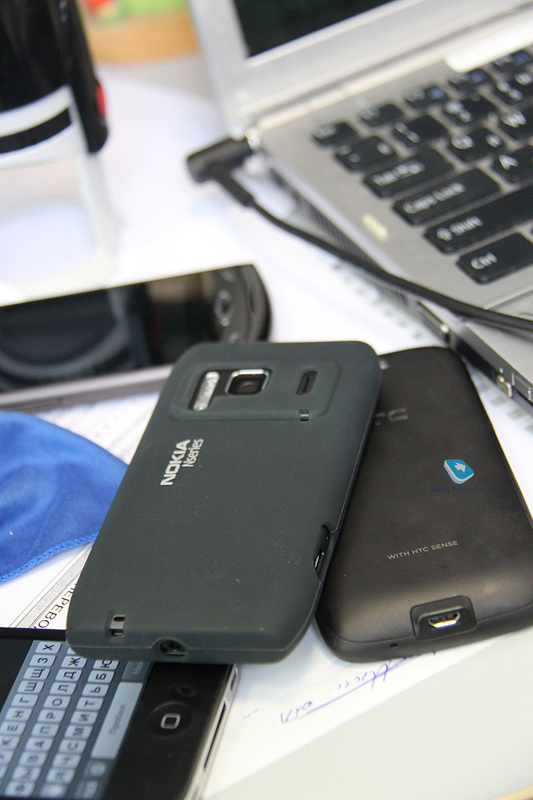 the Nokia N97, Nokia N97 Mini, and Nokia X 6); those who did buy the products eventually became disappointed. In one interview, Anssi Vanjoki, the former executive vice president of Nokia, mentioned that the sales volumes of the Nokia N97 were high, which was not true for the user experience. In another interview, he confirmed his company having lost the top smartphone segment but planning to get it back. 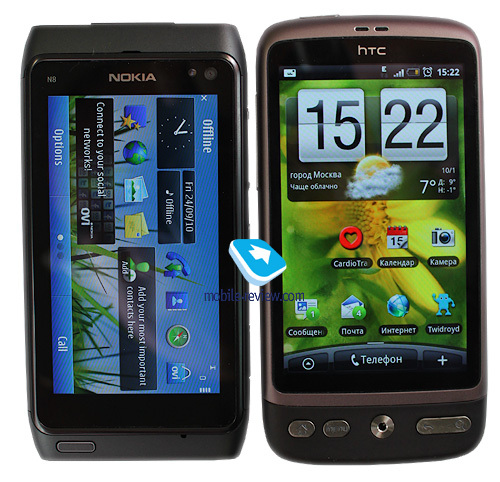 In particular, that should be done with the help of Symbian^3 and Symbian^4 products. 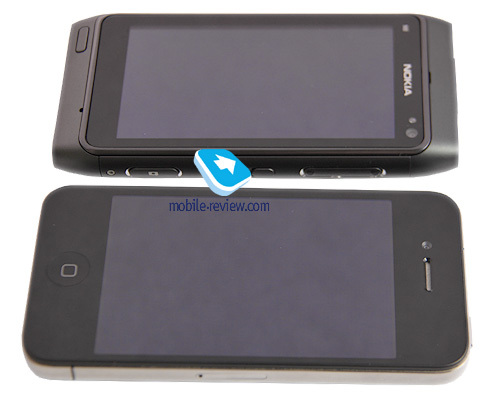 And the Nokia N8 is seen as the first product aimed at bringing back Nokia’s positive image. 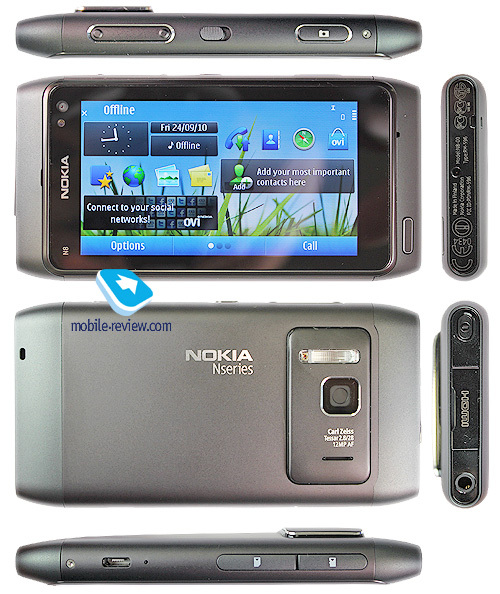 It is a flagship model, the first ever product based on Symbian^3, and a photo solution, Nokia’s first device with a 12-megapixel camera. The company has invested a lot of resources into its promotion; the amount of marketing effort will overshoot one devoted to the Nokia N97 and will be significant for the market on the whole. Is this model the flagship indeed? I have been asked that question quite a lot. I have been told that it is not since it is not positioned like that by Nokia, since it is not the most expensive Symbian product – in a word, something isn’t right. The announced price of EUR 370 (without taxes) is not one a flagship model has; the Nokia N97 costs significantly more than that even today, almost a year after the release. How can the Nokia N8 be a flagship? In order to avoid further confusion, let’s define the term. In my opinion, a flagship is a product that enjoys the maximal sales and/or represents a company to the consumers, becomes its face. That is, it is a middle- or high-end product but not necessarily the most expensive one. Often, it is the most expensive product indeed, sometimes it is not unique (e.g. 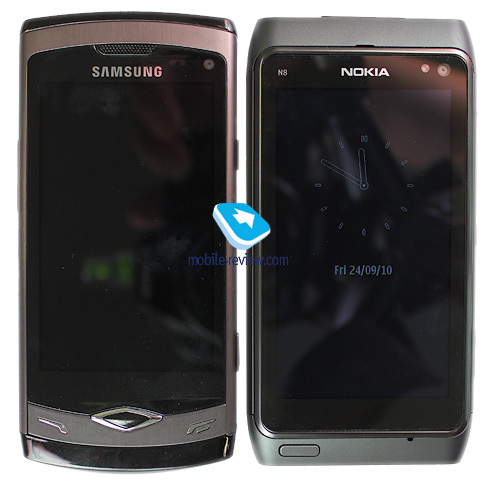 the Nokia N97 and N900). 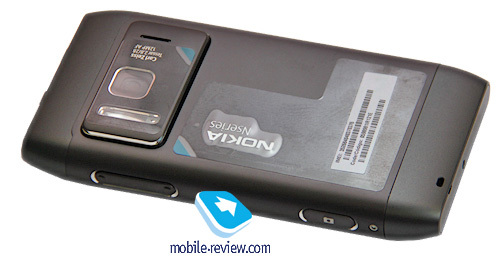 In our example, the Nokia N97 is both the most functional and expensive product from Nokia of the previous year, if the luxury Arte is not taken into account. 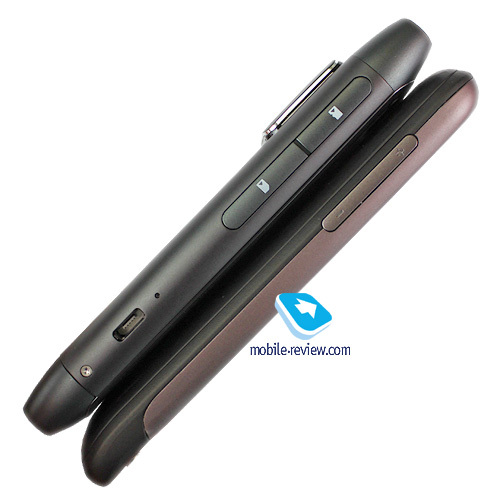 The Nokia N900 is on the same level; it adds to the company image, albeit its sales are minimal. An implicit sign of those two being the flagships is the related marketing and PR activity of the company. At the moment, the Wave (Bada) and Galaxy S (Android) are Samsung’s flagship models, the Desire is HTC’s, the Droid/Milestone is Motorola’s (although there exist the MOTOROI, DROID2 and some other devices). According to that definition, the Nokia N8 has been selected as the flagship by the company in order for the customers to get acquainted with capabilities of Symbian^3 to create a better image for the platform. It is a focal model that will have the maximal sales across all Symbian^3 phones in 2010 as well as in the first half of 2011. Unfortunately, the company cannot make its whole product lineup Symbian^3 only in a blink of an eye, therefore we will observe a collection of models based on several versions of the OS in 2011. The low- and partially middle-end will be represented by solutions based on S60 5th edition. 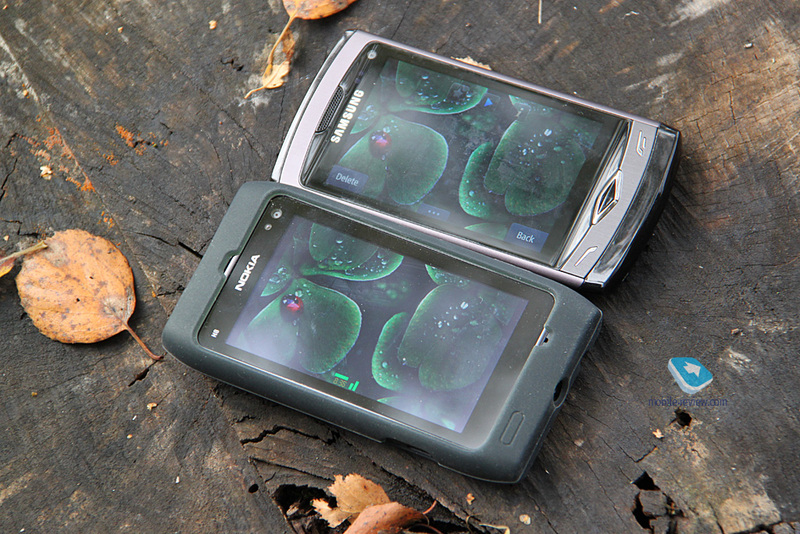 The high-end will consist of devices powered by Symbian^3 and Symbian^4, as well as some MeeGo solutions. It is a whopping zoological garden. That is why Nokia needs a focal model that has the best market potential and, likely, the maximal (for the company, not the market) sales. 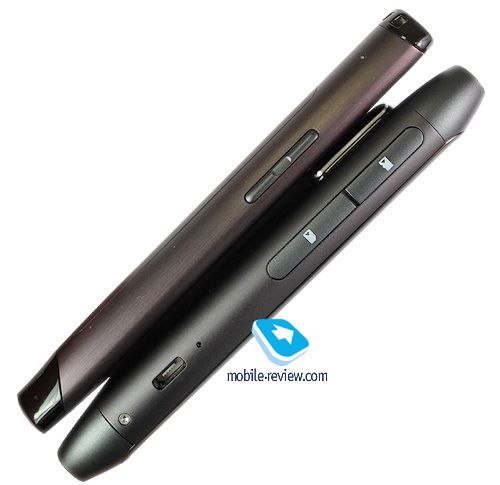 Twin models and positioning in the Nokia lineup. 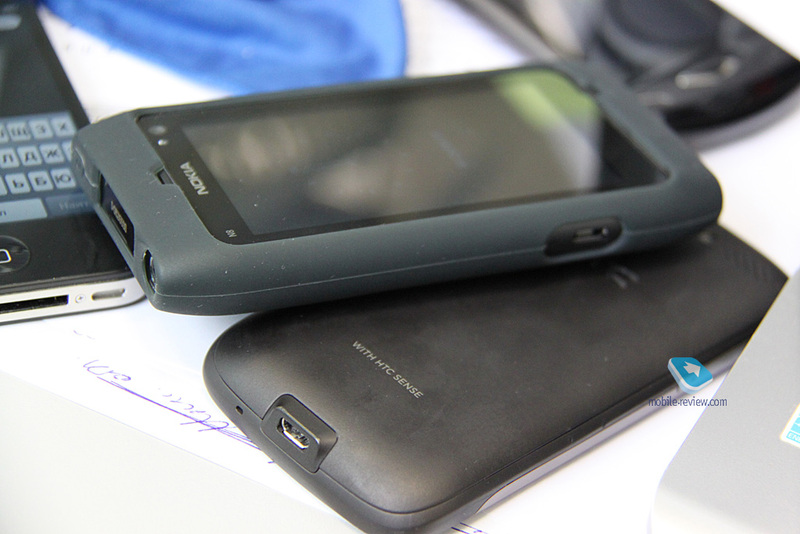 A while ago, Nokia started releasing its products in pairs, and the N8 is not an exception. For example, the company first launched the Nokia X6 32 GB with the Comes With Music service, then introduced the 16 GB version without the music subscription, and the cheaper 8 GB version afterwards. The same happened to the Nokia N97. 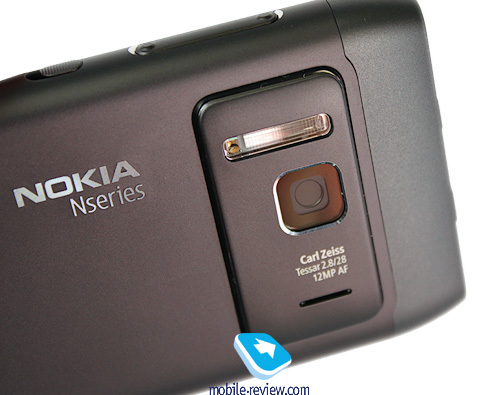 First, the flagship comes out, and then – the cheaper Nokia N97 Mini, which turns out to be better in terms of hardware, contains plenty of fixes and is generally more stable. It turns out that first buyers get troubles for the money since the successor models appear cheaper and significantly better. Nokia’s going from top to the bottom (i.e. more expensive models coming out first) looked like humiliation of buyers of expensive products. Effectively, they were beta testers for the mass market. Starting with the Nokia N8, the path gets flipped and the mass market becomes the first wave to make the later, more expensive models more stable. The Nokia N8 is the golden mean. There will be several versions of the device (according to my personal information source). First of all, it is a model with 32 GB of inbuilt memory and music service (for select countries) that will retail for about EUR 425-450. The sales will start at the beginning of the next year. The second model is a cheaper one, with less memory, without the 12-megapixel camera. It will be called the successor to the “legendary” model and show up in the second quarter of 2011 at a price of about EUR 230-240 (the price of the original N8 will have dropped down to EUR 300-330 by that time). 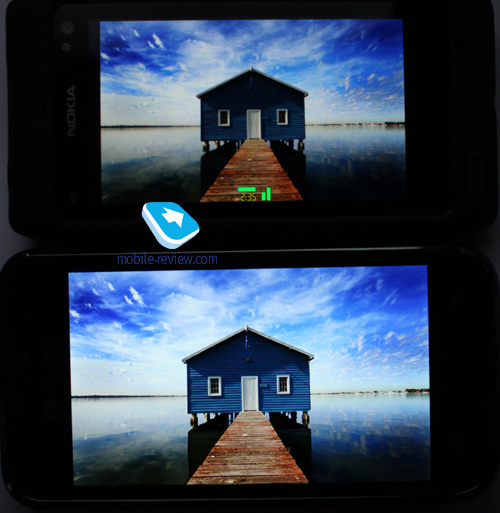 As you can see, the Nokia N8 is not the most expensive solution and that is why it is the first to make it to the market. That is how Nokia’s new strategy is different from the one back in 2009 or even early 2010. Target audience. Since the model is aimed at winning back the sales in the middle-end smartphone segment, the emphasis is made on its multimedia features, in particular, HDMI-out, updated music player, HD video playback, and camera capabilities. Other characteristics of the product are being hardly mentioned. It is a good offer and correct positioning for conservative customers who prefer Nokia to other makes. For the market on the whole, it doesn’t offer anything exceptional, though. 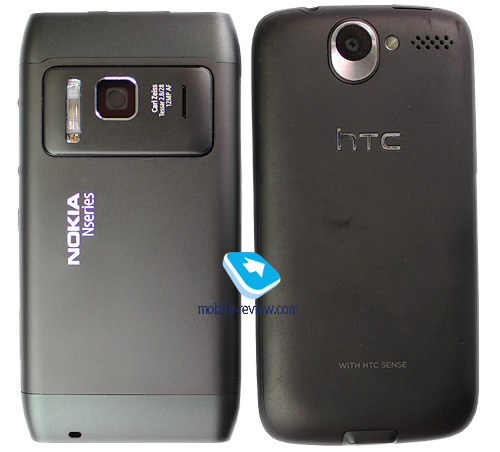 Its positioning somehow resembles that of the Nokia N86, the company’s first smartphone with an 8-megapixel camera. 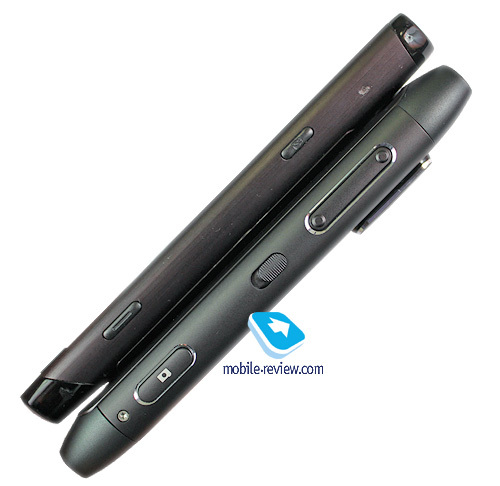 It wasn’t first on the market, couldn’t offer the best picture quality; the same story appears true for the Nokia N8. They even have similar prices and positioning. The company is trying to create some artificial excitement about the model, more than is needed for its positioning. There are several 12-megapixel models on the market already, which are not very popular not because of their prices but due to the lack of interest to such solutions from the mass user. The customers prefer a set of characteristics to a good camera. And models like that have been available for about a year. Therefore, Nokia is entering the segment, in which the cream has been skimmed off, and simply can’t ask for a high price for what it has to offer. 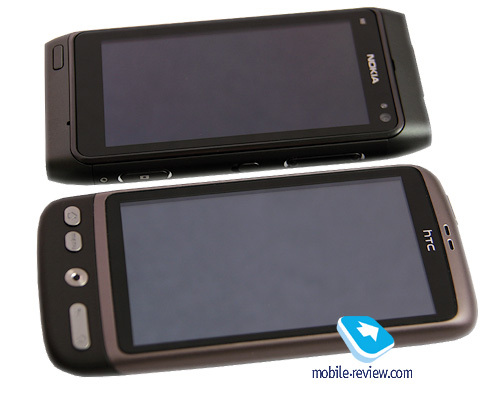 It also explains the decision to produce an inexpensive version of the Nokia N8. Real positioning. 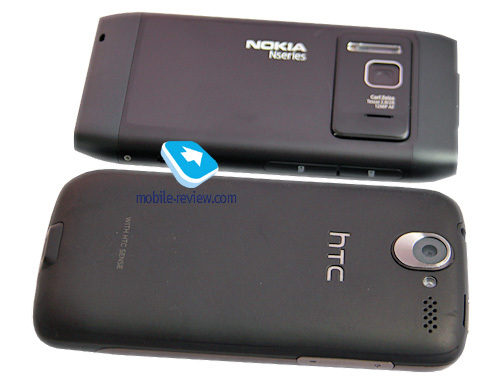 The new device is to replace the previous top models, such as the Nokia X6. It is not to replace the keyboard-enabled solutions due to obvious reasons, though. 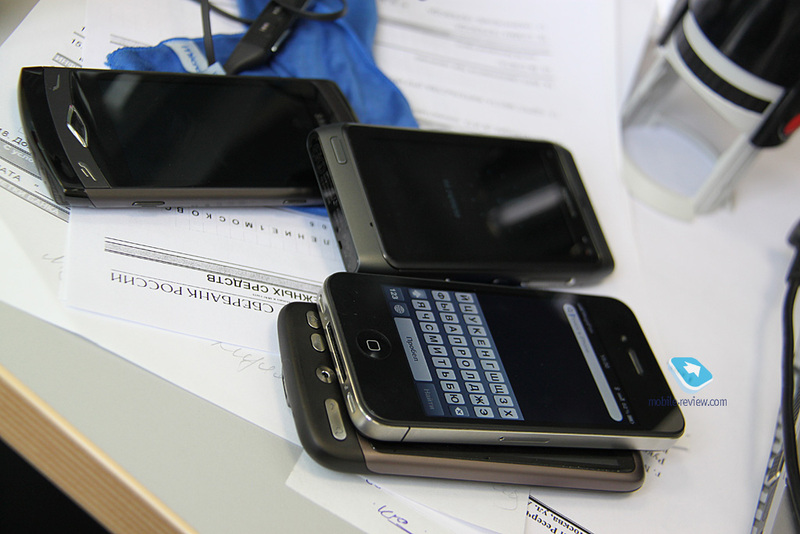 Those who need one should wait for the N8 with a keyboard. When the Nokia X6 and N8 are put together for comparison, one can see that the latter is a breakthrough for Nokia; the user experience stays the same while the working speed and stability get a boost, some new, handy features are added. Following the same logic, one can say that the Nokia N8 is a good replacement for the Nokia 5800 if you bought the latter at the beginning of the sales. 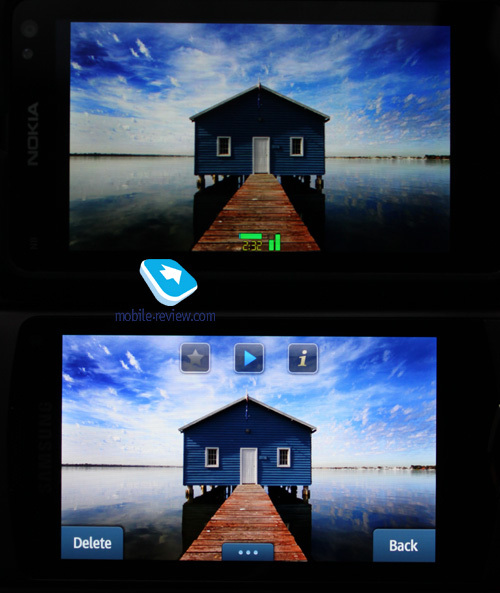 Overall, it is a solution for Nokia enthusiasts who do not have experience with other OS’ or platforms. For them, the device makes a sensible choice, offers a series of improvements over its predecessors. It is an evolutionary development of the touch-sensitive phone from Nokia. However, for the market, the model doesn’t suggest any new user experience, cannot catch up with alternatives from other companies, and doesn’t have anything unique to offer. Why it is so, let’s discuss below. 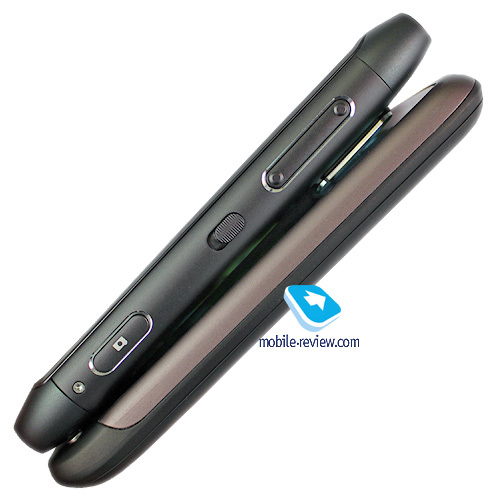 I hope that the detailed description of each and every function will help you get your own impression of the phone. The device feels nice in one’s hand; there are no complaints about the build quality. It is a candybar with no sliding parts. 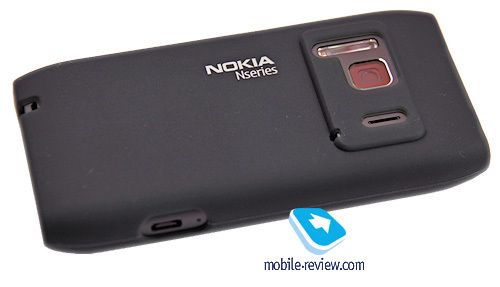 To avoid any play, Nokia takes cardinal measures and abandons the usual battery compartment. The appropriate slot is secured with two screws on the bottom. Such solution does help; however, you would need a Philips screwdriver to change the battery if necessary. Beware that you may lose the warranty if you try to open the device and are not careful enough. In any case, you won’t be able to carry around a spare battery just in case. In the Second Look, I was wondering about what would happen to the phone if it got dropped. Having used the prototype heavily for a period of several months, I got the answer. A retail version has been in my possession for less than a week. No, it didn’t die, but rather the opposite: it was a pleasant experience. Running ahead of myself, I would like to say that with a casing like this, you either won’t have any problems at all or will discover them immediately. The device was dropped some ten times but without any critical damage. The model will be available in five color options, varying across different regions, with usually three coming out at once. Those are bright colors, another Nokia’s distinct mark of late – e.g. Dark Grey, Silver White, Green, Blue, and Orange. Each solution looks interesting. 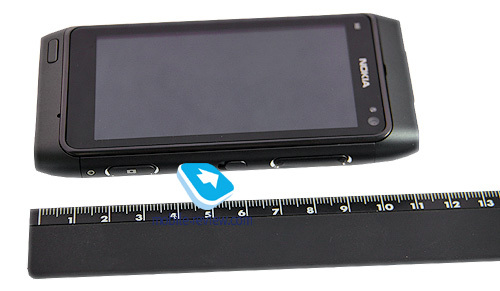 The phone measures 113.5х59.12х12.9 mm, and weighs 135 grams. It is not too heavy, but feels solid in one’s hand. The N8 is neither too small nor too big, just the golden mean. The dimensions are on par with other contemporary devices, there is no up- or downside to that. 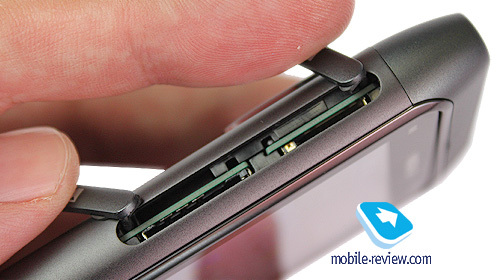 On the left side, you can find a naked microUSB port, there is no cover there. Two slots, for the memory and SIM card, are located above it. They have covers that are attached to the casing and can be torn off eventually, their design being different from that used in other Nokia phones. The covers have only one stem and henceforth should be handled with care. 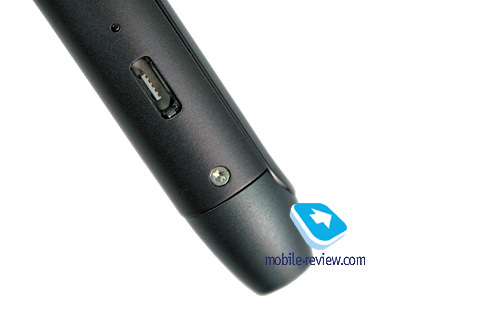 On the right side, there is a volume rocker and lock slider (very handy) with a camera button below it. On the bottom, you can find a 2 mm charger port, whereas on the top, there is a 3.5 mm audio jack, HDMI-out, and power on/off key. If you use the standard headset, you should press onto the jack until you hear a click. Some people don’t do that and complain of the sound being of bad quality and going through one channel only. Just don’t be afraid to push when attaching the headset. In terms of resolution and size, the screen looks familiar. 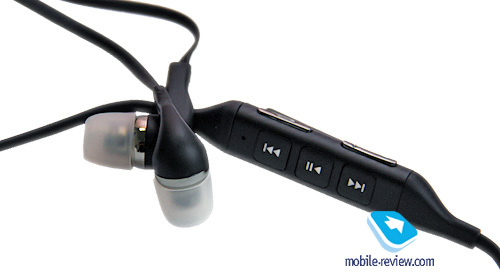 It is the one used in other Nokia models, such as the X6. It has a resolution of 640x360 pixels, is 3.5-inches wide and covered with glass (that is what the special plastic identical to that in the X6 becomes called) and allows up to 16 million colors. It is based on AMOLED and features some special coating for outdoor use that improves readability (not a ClearBlack display with a polarized filter like in the Nokia E7 and some other devices but rather some earlier technology). 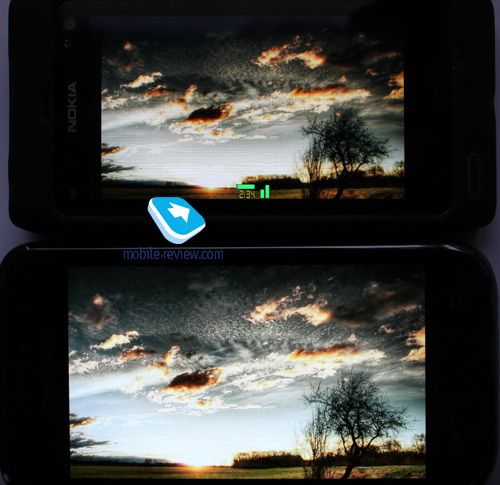 Various online resources have made a lot of comparisons of the Nokia N8 screen to those used in other devices, and we can’t avoid making such comparisons either. Before I even start, I would like to make it clear that I picked some best displays available (i.e. the one in the Samsung Wave, sharing the same diagonal, and the one in the Samsung Galaxy, with a larger diagonal, are both based on SuperAMOLED). 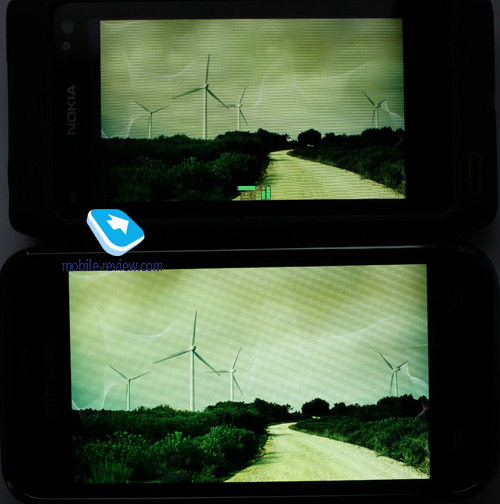 In direct sunlight, the make of the screen doesn’t matter much, which can be considered a good thing for Nokia already. Secondly, the indoor image quality is fairly comparable across all three devices in most cases. The only caveat is that Nokia does not allow one to adjust the screen brightness manually, so one has to rely on the light sensor (all Samsung models have both options available to the user). 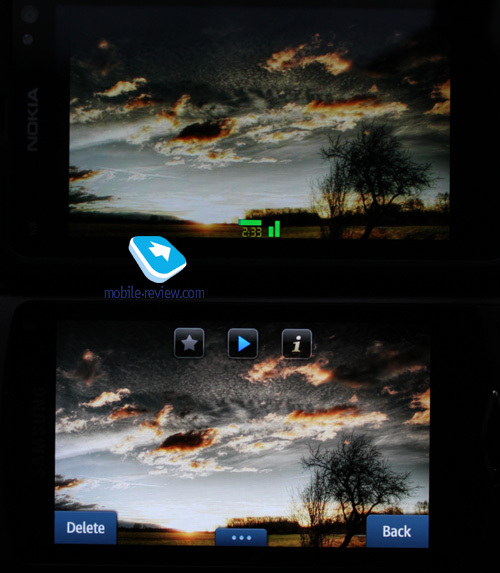 In the Nokia N8, you can set the desired brightness level and choose its maximum value but you are not allowed to adjust it at a particular moment of time. For instance, upon entering some poorly-lit building, the Nokia N8 will automatically dim the screen. The system has already been employed in some earlier models and the users haven’t really complained about it. The comparison below makes the following simple thing clear. The detalization and image quality are comparable or even identical for an average user. Despite the brightness and contrast being somewhat higher, one can’t say that Samsung offers a significantly better picture quality. If one gets very picky, then Samsung’s white is a bit whiter, and the picture is slightly lighter overall. But that is all details. I would like to repeat once again that for regular customers, who don’t compare displays on various devices on purpose, the Nokia N8 screen makes an adequate choice that is fairly comparable to the best models out there. In select modes, the screen can contain up to 16 text rows; there are three font sizes to choose from in the phone preferences. In direct sunlight, the colors fade away a bit, which is typical. It is one of the first Nokia products to support multi-touch (e.g. in the gallery or browser); you just need to make a special gesture (pinch-to-zoom) to zoom in or out. 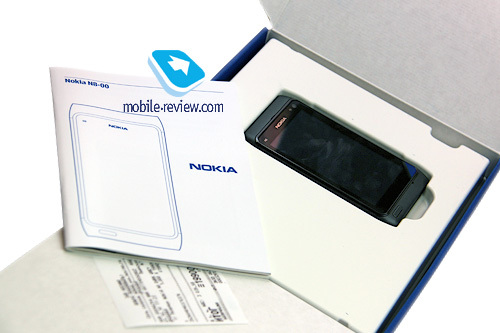 The screen is capacitive, with the build quality and behavior similar to that of the Nokia X6. While most of the time, the sensitivity is okay, every now and then the screen won’t respond to taps (due to the software fault, analogous to the X6). At the moment, Nokia is not capable of creating screens comparable to Apple’s in terms of convenience or Samsung’s latest models whose touch responsiveness is now close to that of the Apple iPhone. It is a minor problem and won’t be noticed by most customers. Once again, I would like to emphasize that it is one of the best Nokia screens ever, and the difference in user experience, especially if compared to some earlier models, will be drastic for many people. It is not an ideal display but a very decent one. In a nutshell, it is a good screen that can’t boast of its resolution or color range but is on a decent general level or even slightly better than that from the perspective of late 2010. It’s good, not the best. 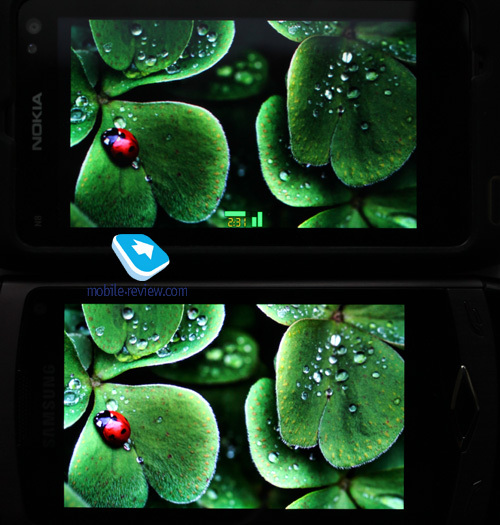 The Apple iPhone 4 screen has a comparable diagonal but higher resolution, the Samsung Wave screen has superior resolution, color range, and brightness. 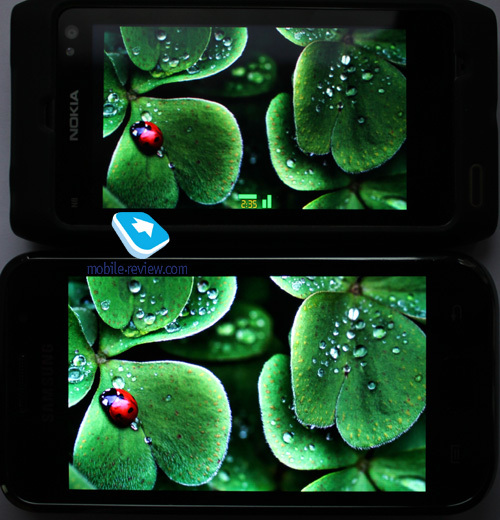 However, the difference is not that critical for an average user; the displays appear to be on a similar level. And that is very important for Nokia. 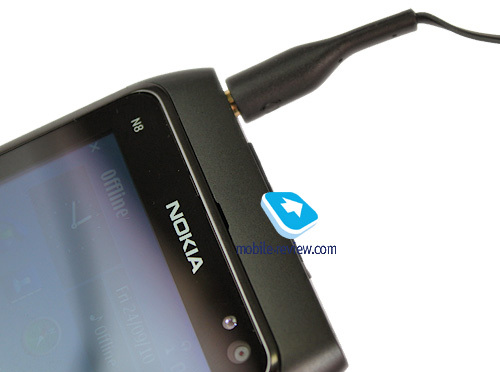 The Nokia N8 has two input modes – i.e. a vertical keypad (supports T9 as in the QWERTY mode) and a full-fledged QWERTY keyboard. Unfortunately, Nokia takes other companies’ experience very superficially, even if they have the lead like HTC or Samsung. The main keyboard doesn’t have a button for switching the input layouts. That is, to type in two languages you will have to bring up the menu, change the layout, and then come back. It takes too much time compared to the single tap in the products from Apple, Samsung, HTC and other companies. Another downside is the lack of special characters on the main keyboard (save for the dot and coma). The competitors allow you to input those from the main screen in some way (for instance, in Bada, you can press the spacebar and then pick the necessary symbol or choose them directly from the screen). But again, I would like to point out that that is a minor problem, present in Nokia’s wide range of touch-sensitive phone. It just affects a specific usage mode that hasn’t been given much attention. The early commercial versions of the firmware do not support Swype. The input technology may be available in some future updates. You can install Swype manually, but it will work for English and in the landscape mode only. The phone features 175 MB of memory dedicated to common applications or your data. 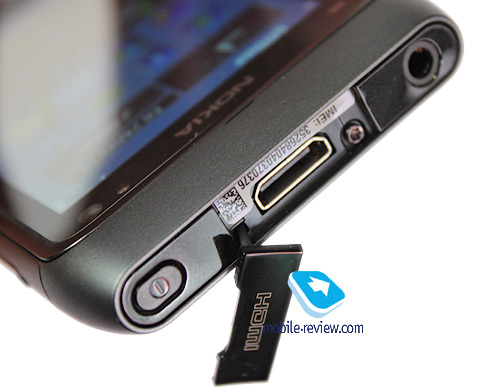 The internal memory of 16 GB can be extended by microSD memory cards of up to 32 GB. The main stumbling block is the browser, which can crash or slow down the phone if used actively. Other preinstalled applications work fine and exemplify precision and stability. I have 5-6 apps (camera, mail, files manager, social network app) running simultaneously and the amount of free memory ranges from 28 MB to 81 MB. I did not experience any serious delays. I hope the browser will be updated in November. In the box you can find the connector for external USB memory devices (for example, flash drives). When you connect the flash drive you can copy the data from it to the internal memory and play the file. This memory is displayed in the file manager as another drive. This option has never been used in phones before and it is quite interesting. At least, theoretically. I will try to explain. 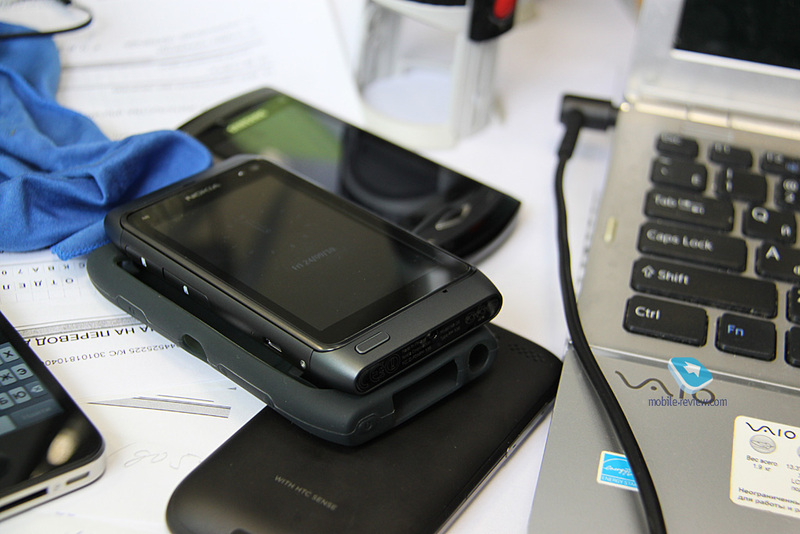 A long time ago we had such gadgets as PDAs with USB Host function, which allowed connecting a camera, flash drive or anything else. This feature did not become widely spread, though many proud owners of PDAs boasted this unusual capability. 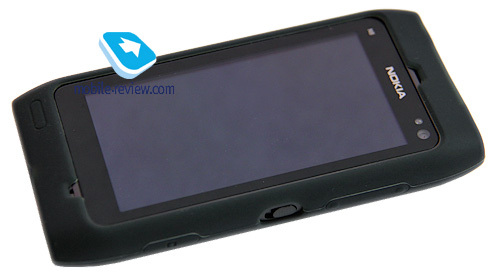 You can read the review of one such PDA. To transfer files I prefer to use the phone with 32 GB of memory and not the flash drives. If I need to copy more files I can take an external hard drive. Unfortunately, we cannot connect a 2.5” external drive to Nokia N8, because of the insufficient power supply, but I managed to connect a 3.5” external drive with its own power supply. File system limitations for Nokia N8 are the following: file size cannot exceed 4 GB (which is more than enough) and NTFS file system together with appropriate storage media is not supported. When you connect the flash drive all launched applications saved in the common memory (and not in the phone memory) come to a halt. After you finish working with the flash drive and it is disconnected these applications automatically resume their performance (not all applications can regain their status). If you plan to use applications, which require network connection and status to be regained at all times, they must be installed in the phone memory. BL-4D battery has the capacity of 1200 mAh. The manufacturer claims up to 390 hours in the standby mode and from 5.5 to 12 hours of talk time (UMTS/GSM). I really like the fact that the handset works for a long time in every mode. Nokia engineers made a great contribution here and we have to be extremely grateful for that. This model is unrivalled among other S60 solutions when it comes to energy efficiency, which is a considerable advantage. For the market in general it is not a record as Apple iPhone 4 can play video for up to 10 hours and music playback reaches 40 hours. These parameters are comparable and we ignore the difference in displays. Bluetooth. 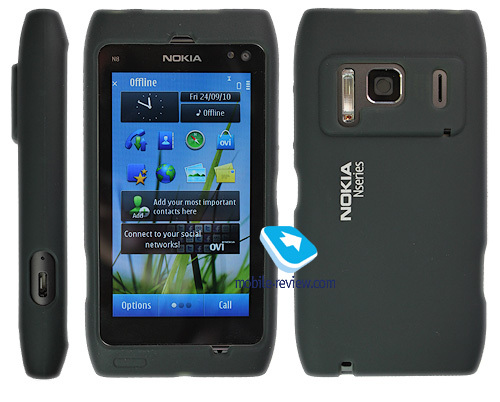 This is the first Nokia model with Bluetooth 3.0 also known as High Speed. During the file transfer to other devices with this technology Wi-Fi 802.11 n is used and theoretically the transfer speed can be around 24 Mb/s. The transfer of 1 GB file from Samsung Wave S8500 to NokiaN8 and back showed the maximum speed of 10 Mb/s over a distance of three meters. 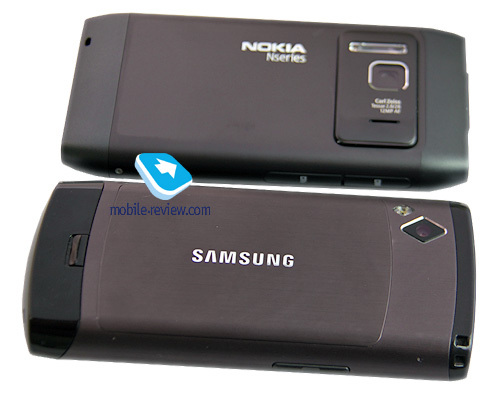 During the transfer of large files the connection often gets interrupted, which does not happen during the transfer from Nokia N8 to the same model or from Samsung to Samsung. It may happen due to the incompatibility of settings. 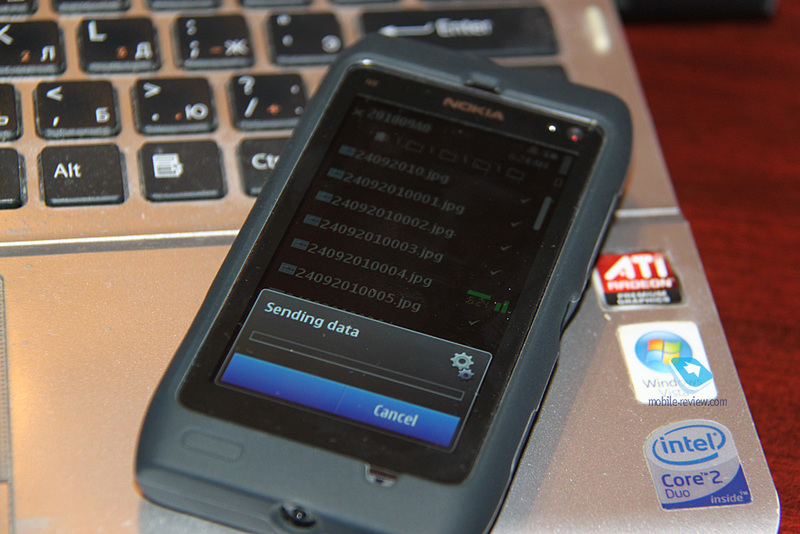 The transfer of large files to usual S60 smartphones also often results in the loss of connection (without the use of BT 3.0). Wi-Fi. 802.11 b/g/n standard is supported, but it is not the first model on the market with such a range of protocols. The feature works just fine. There is Wi-Fi networks lookup wizard and the corresponding widget (I installed it and enjoy the convenience). This phone has HDMI Mini connector and the adaptor to connect the device to TV via HDMI. If you choose this connection you can display all screen content on TV, listen to the music or watch video (5.1 multichannel sound is supported if you have the appropriate sound files). 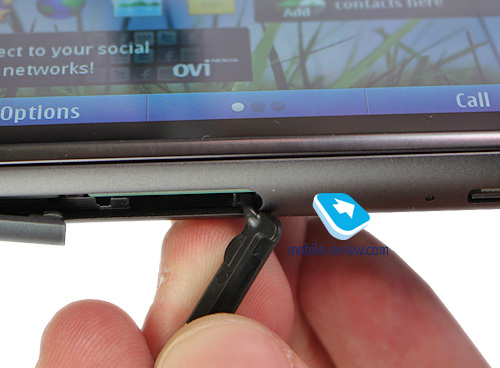 The preinstalled test clip on Nokia N8 shows how to use every element of your acoustic system. The sound goes from the left component, then right and so on. 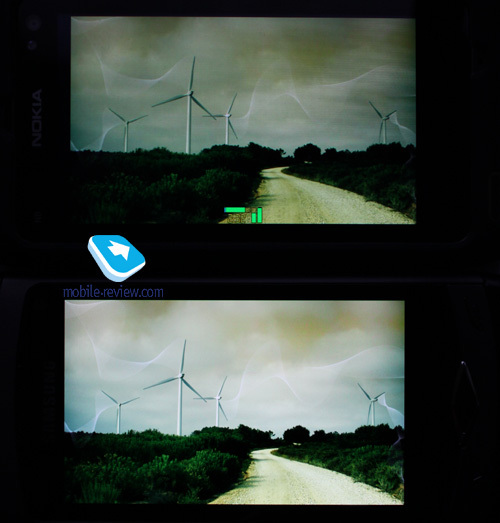 The quality of video playback on the large screen depends entirely on the file and Nokia N8 serves only as the file carrier or the player (up to 6 hours if you deactivate the screen and do not touch the phone, but I managed slightly less). During the playback it is better to switch to the “Flight” mode. The feature works without problems. It is marketed as something revolutionary, but it is not the case. 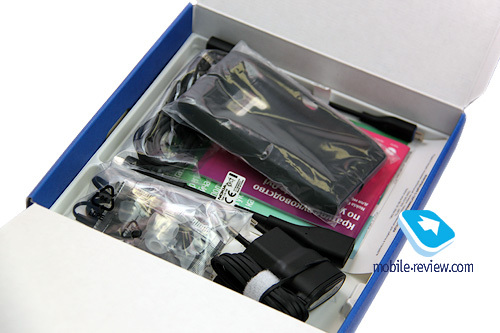 For many years phones come equipped with the TV Out and all top Nseries models had TV cable in the box. According to research only a small number of users benefited from this feature. 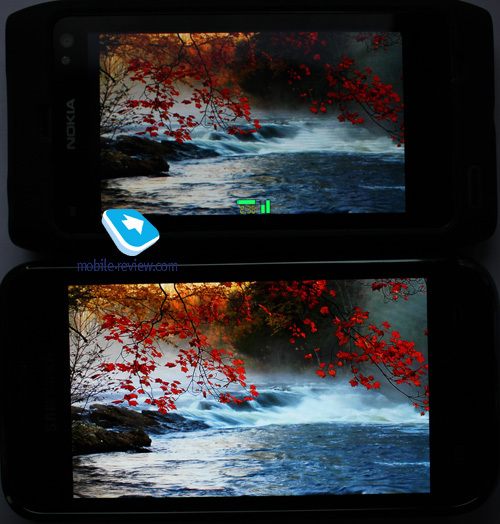 We will see if the aggressive promotion of this option in Nokia N8 can make people use HDMI for showing photos and video. 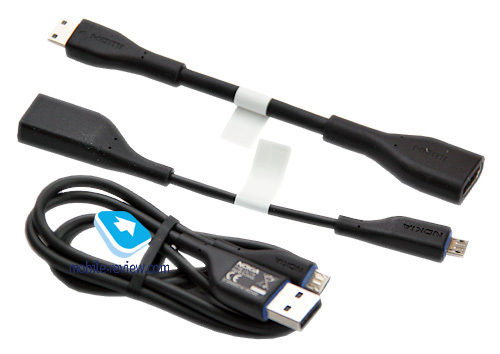 The cable offered is more convenient to carry as it is more compact than TV-OUT cables in the past, but you have to carry it around anyway, which may be a problem for some people as the cable is unusual (even microUSB is not easy to find in every home or office and here we have something different). The feature should not be criticized just because it is not widely used, but at the same time it is not correct to say that it is necessary for the majority of users. It is just a niche option and in future there will be more models with such a connector (Motorola XT720 (MOTOROI, some other models). It is one of the available features, but it is not crucial. 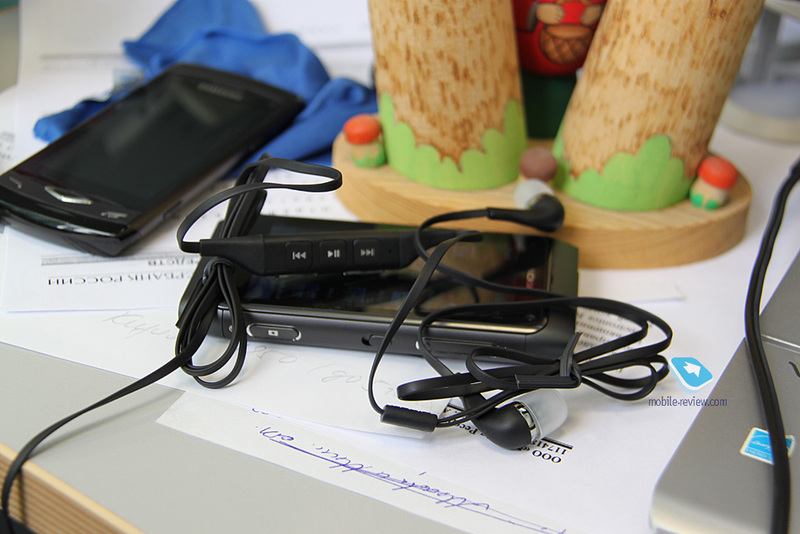 I think that many owners of Nokia N8 have no home cinema with 5.1 system and they cannot use the feature. But these are just my own ideas and they are not supported by any research. The model sports one speaker, but it is loud and clear and can be heard from any pocket or bag. I like the gentle and fast tremolo of the vibro, but the majority of users may find it feeble. There are no complaints about the communication quality. Everything works well. 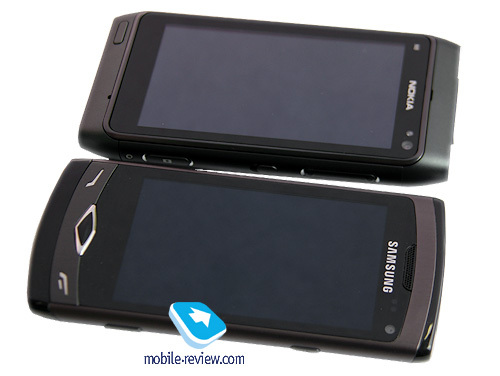 This is the fastest Symbian smartphone, pure and simple. 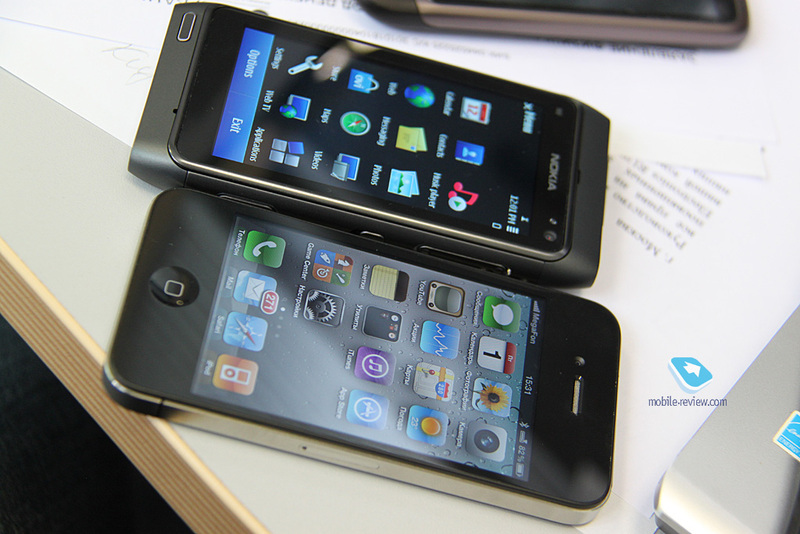 It overtakes Sony Ericsson Vivaz and similar phones will become more numerous in future, which is good. But is it the fastest smartphone on the market? Unfortunately, I have to give a negative answer. 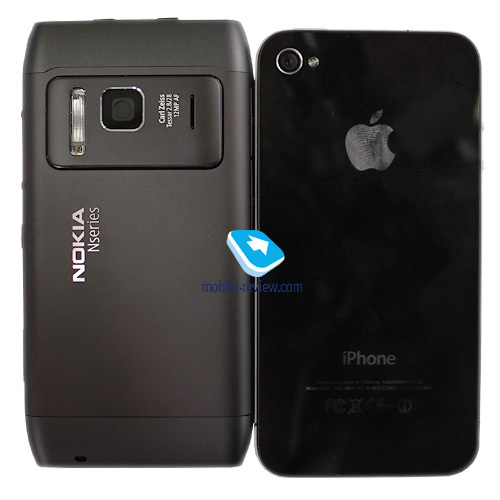 The speed of its interface and software are well behind Apple iPhone 3Gs, let alone iPhone 4. This is just my personal judgment, but this is how I feel. Many Android smartphones are also faster. 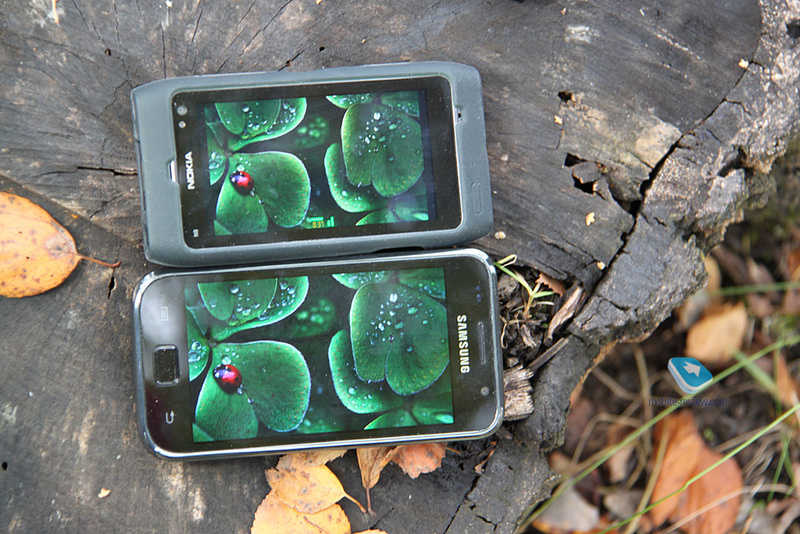 Bada phones are equally fast and sometimes even have the edge. Sadly, it is not the fastest device and I mention only available models without taking into account Android 3.0 (it is too early), which will show considerable increase of performance. There are also several top devices, which cost a couple of times more. 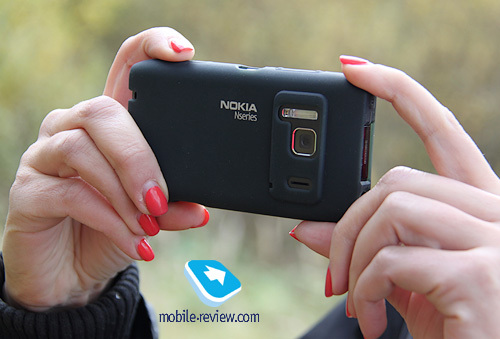 Nokia highlights the multimedia features of N8 and while they are good, they are not too impressive. Video player is common , but luckily it supports DivX. The camera is one of its advantages, but only in terms of photos and resolution. The picture quality has not improved dramatically and the video recording is on par with other models (Vivaz and Motorola XT720 are comparable, as well as other phones as it is a standard functionality for the market). In terms of drawbacks I can mention the browser, the screen is not the best for video playback (it’s normal, but not the best). You can call it fault finding, but in general the model is not breathtaking. 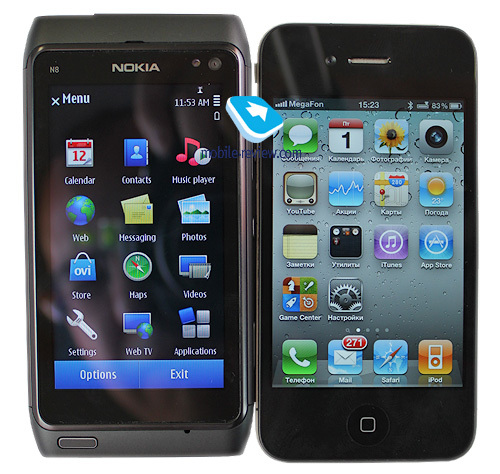 As the owner of Nokia N97/X6 I have a dubious impression from Nokia N8. On the one hand, we have the same old interface, which is quicker, but has similar defects (the screen does not react at times and the home screen widgets are not informative enough; why should I need one line from Facebook or Twitter). On the other hand, there are nice additions – photo and video editor (I do not need them at all), USB OTG, HDMI connection (another extra) and the integration of applications into the platform (for example, Search and maps). The mail client has been improved, but it does not overwhelm you, anyway. It is interesting to note that Nokia's many projects will be developed independently now. This can be seen by the example of the maps, which can be downloaded to devices separately when the new version becomes available. In November, a beta of the eighth version of the browser will come out, whereas the final one is apparently due in February or March along with the first major update for the Nokia N8. The same is true for the e-mail client. I like the new approach better than waiting for another complete firmware update. This is an evolutionary development. There is an improvement, but hardly a breakthrough. If not to take into account the camera we can find many more interesting solutions. The customers do not care about the speed of development for the platform, but just want to know whether to spend their money on this product. I think it offers value for money as Nokia plans to have high sales for Nokia N8 and it is priced accordingly. Samsung Wave is the benchmark. It is already available at the same price, but entered the market 2 months earlier. You can compare the products, but they are different, though target the similar audience. 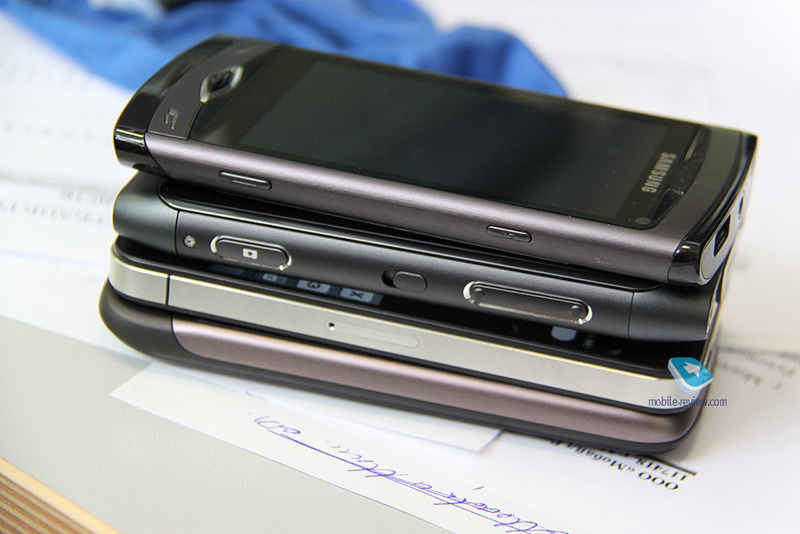 We should not forget the devices from HTC, Motorola and Sony Ericsson. 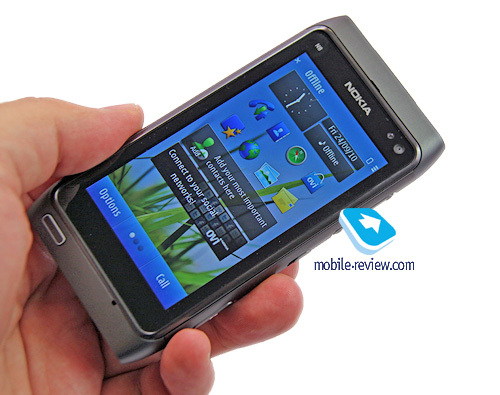 Nokia N8 is good for those who have never used anything but Nokia and have no experience with Android. This OS is on the rise now and attracts a lot of attention. At the end of October the interest and the sales will be boosted even more, because Android is already a mature OS and have either reached parity with Symbian or is even racing ahead. 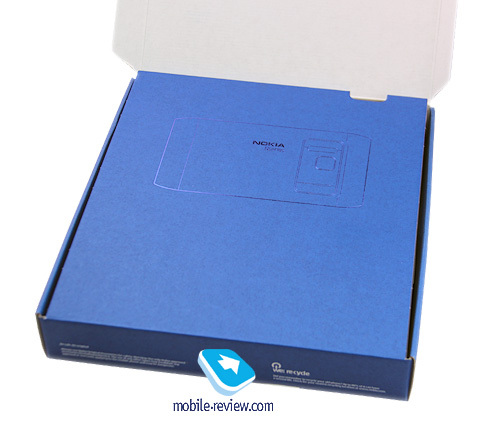 All in all we have a good product for Symbian users. They will not be disappointed as the phone will work better than previous models, though it is far from ideal. Those who look for the top technological solutions should look elsewhere. It can rest on technological laurels for a couple of months, if at all. 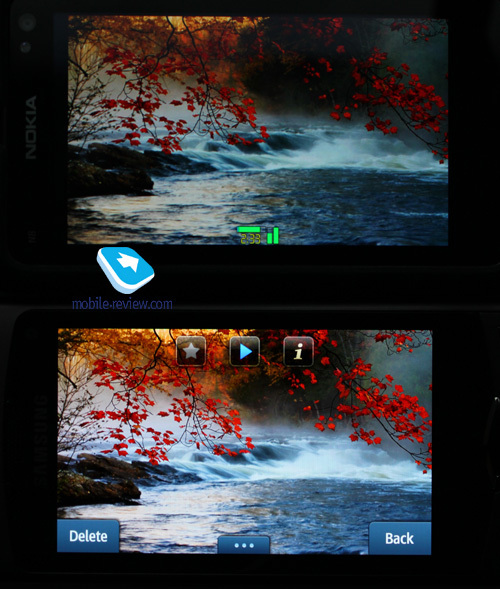 Nokia N9 offers a completely new interface. Having borrowed many features from Android (status line and some animated elements) and Bada MeeGo will look comparable with modern OS. S^3 did not have such a polished interface. 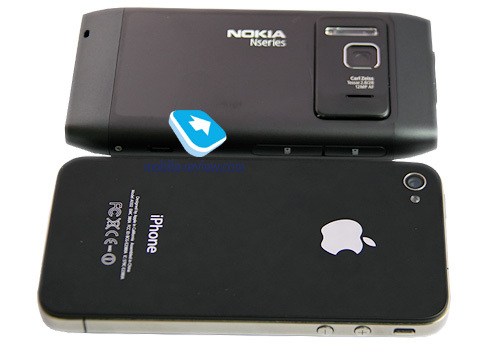 It is a transitional product and Nokia N8 is the same. The goal for the model is to keep Nokia sales on par with competitors, which offer better technologies and drive Nokia prices down. It should throw dust in eyes and distract the attention from OS and its transitional character and in 2-3 months the next version of Symbian should be released. Nokia N8 is a decent, but unremarkable product. The buzz around the model will fade away in several months and Nokia will offer new flagships, which will be more technologically advanced. Only the price may help the model and Nokia understands it pretty well. The company is ready to sacrifice other products, for example the price of Nokia C7-00 was set at comparable level, which makes the model instantly unattractive (the price difference is only €50). 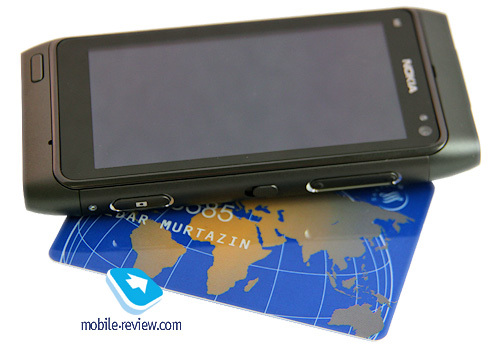 Nokia’s task is to sell as many Nokia N8 items as possible and the company is ready to go an extra mile. 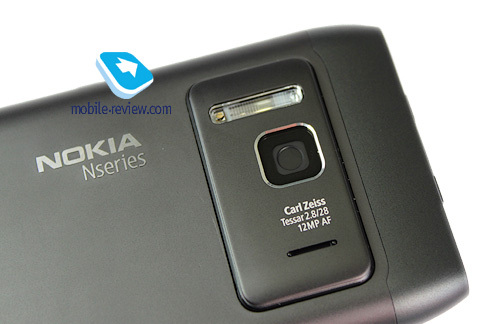 We receive an excellent update for the current Nokia lineup, but it is hardly a breakthrough for the market in general. 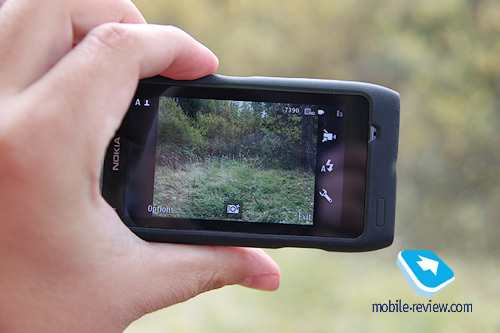 Nokia fans may celebrate, but other will benefit from its camera only. If you do not concentrate on the camera then you may look elsewhere. 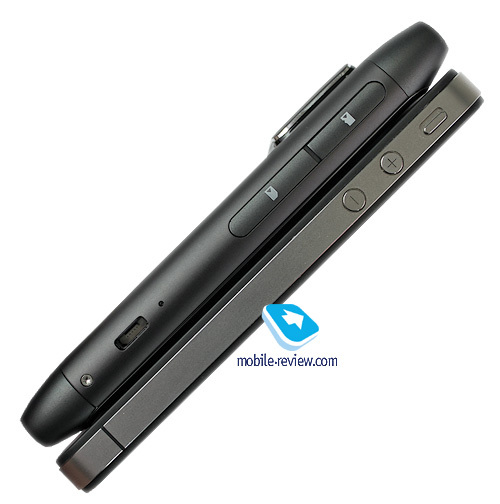 Unfortunately, it is not an all-in-one solution like Nokia N95. 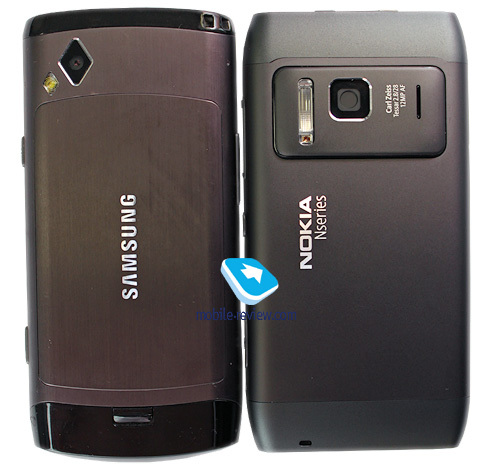 I was not stunned by this workhorse and find Nokia C7 more attractive, while I do not agree with its price. 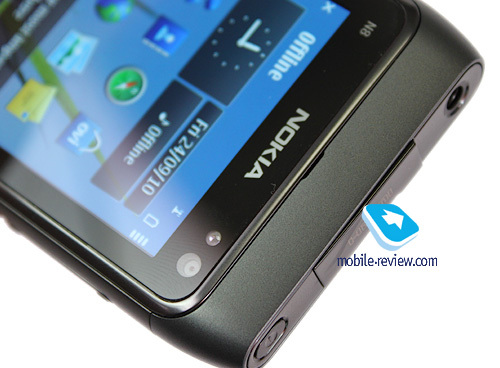 Nokia N8 can be a moderate crowd puller and will be popular due to a relatively low price. This product is an event for Nokia.